David H. Smith is an Associate Radiographer Level 2 for the Radiology Department of the Coler-Goldwater Specialty Hospital and Nursing Facility. Considered by his professional peers and colleagues to be an expert on radiography, Mr. Smith shines in his current capacity by performing x-ray and CAT scans, training technicians on the usage of equipment, and ensuring the quality and functionality of all equipment. He has amassed more than 20 years of professional experience, and continues to strive for excellence in his every endeavor. A long-standing interest in the medical field prompted Mr. Smith to pursue his fascination with the industry, and to follow a career path in the field. He holds accreditation as a Certified Radiographer, and he is also an accredited CT Technologist. 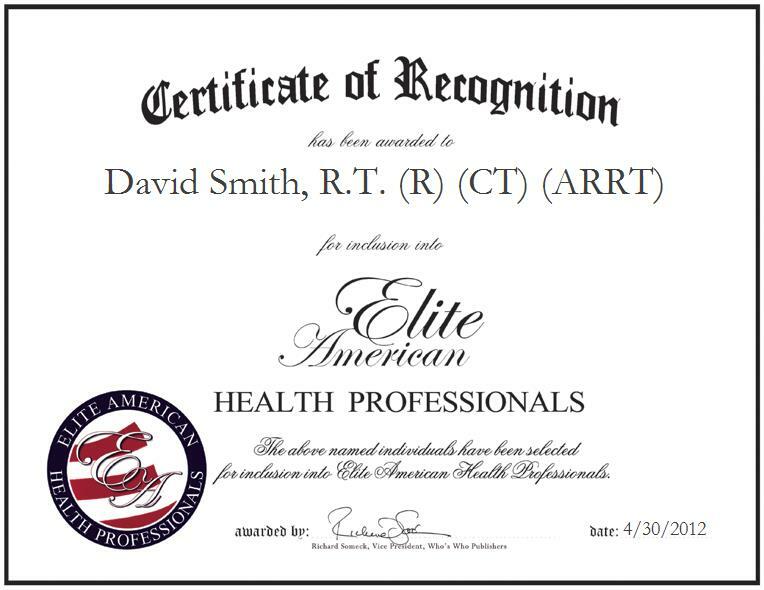 Mr. Smith remains abreast of trends and developments in the radiology industry as a member of The American Registry of Radiologic Technologists and The American Society of Radiologic Technologists.